Graphos had issues when printing and the view was not 100%: to speed up drawRect, all objects were represented scaled, so that they had not to be scaled each time, which especially for Bezier Paths is expensive with all the associated handles. Thie issue is finally fixed by either caching both original and zoomed values for each object and conditionally drawing them depending on the drawingContext. 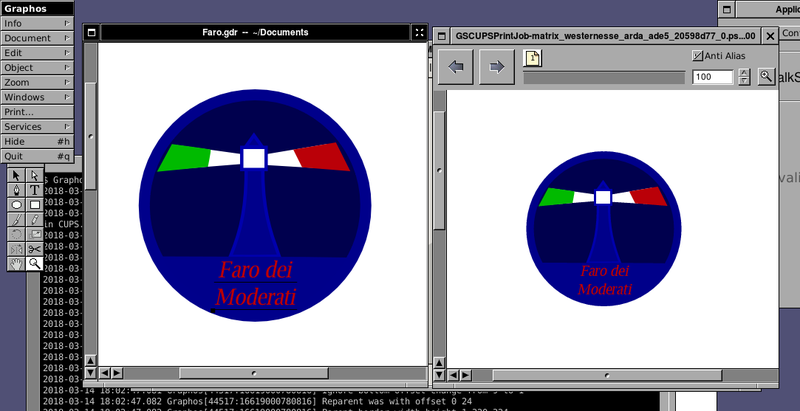 Here the proof with GSPdf showing the generated PDF! Soon a new release then!